Our pediatric eye exams include the evaluation of a child’s vision, eye alignment, eye muscle teaming, depth perception, pupil response, tracking, fixation, and ocular health. A vision screening by a pediatrician or school nurse is often helpful in detecting eye conditions; however, a comprehensive pediatric eye exam by an optometrist is often able to detect and treat even the most subtle eye conditions in children. These often hidden eye conditions can greatly affect school performance. According to the American Optometric Association, all children should have their eyes examined at 6 months of age, 3 years, and the start of school. 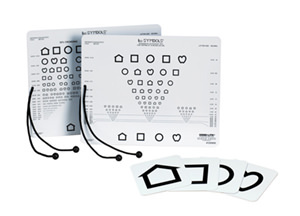 If no vision or ocular issues are detected, subsequent exams should be every two years. Children with vision or ocular problems should be examined every year or as instructed by their doctor.